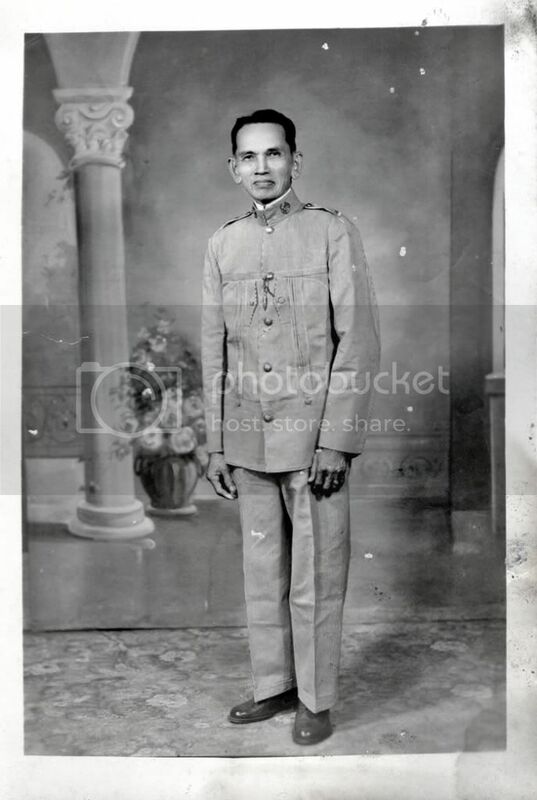 Somehow he was right(Mr. Comb)the Juan Luna designed Rayadillo Uniform was similar to the British Norfolk Jacket. I think the the choice of Rayadillo, was motivated by the available stocks of uniforms sized front the Spanish barrack stores and the factories in Macabebe, Pampanga, that had be given a licence by the Spanish Authorities to manifacture the fabric. 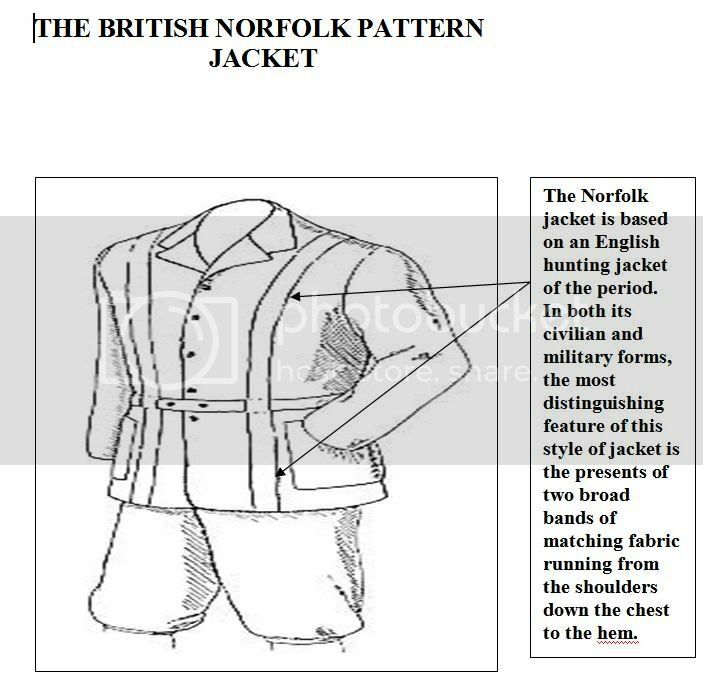 The Norfolk pattern was also worn by some Spanish officers. White, blue and rayadillo cloth could have been dyed a dark green, brown or black, or plain navy; but this was never undertaken as it would have taken time as well as an additional cost. Apart from the badges of rank and the adoption of the Russian style epulettes, i can't distinguish any real changes from the Spanish uniform of the time. Individual regiments continued to maintain a distinctive individual styles even after Luna orders for a universal standard uniform for the whole army. 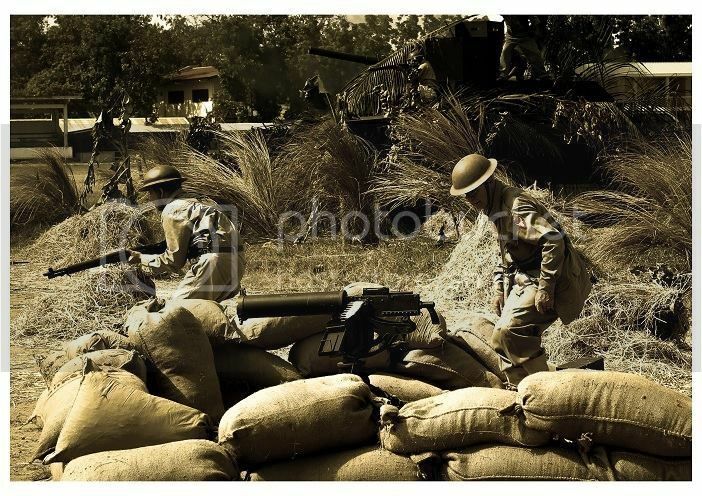 As in all wars the supply of uniforms etc never reaches all units. The Factories, and tailor workshops in the Philippines would have already been geared -up for the Spanish style and it would have been difficult to have worked out a new pattern in the factories. Had they have had the luxury of choice I think a Japanese, or even a British influence would have prevailed. I must ask, if any replica Fil. buttons are to be found anywhere? Luna's trouser strips being black a most unlikely as it is not a colour seen worn by generals in any army that I know of. The U.S. Army light blue gave the right contrast to black. Generals in most armies worldwide seemed to prefer red or gold strips. Given that some Rev./Republican Regts. did manage to have a distinguishing uniform, it is sad that this is never mentioned in books. 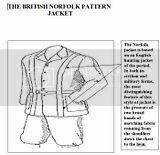 I would be very interested in knowing the source of information on Spanish officers wearing the Norfolk pattern jacket. I have never run across any photos or reference to Spanish use of this pattern. I believe it to be uniquely Filipino. If you have any documentation to the contrary, I would appreciate it greatly if you could share it with me. Hi, where can I buy or rent a rayadillo costume.Thanks. 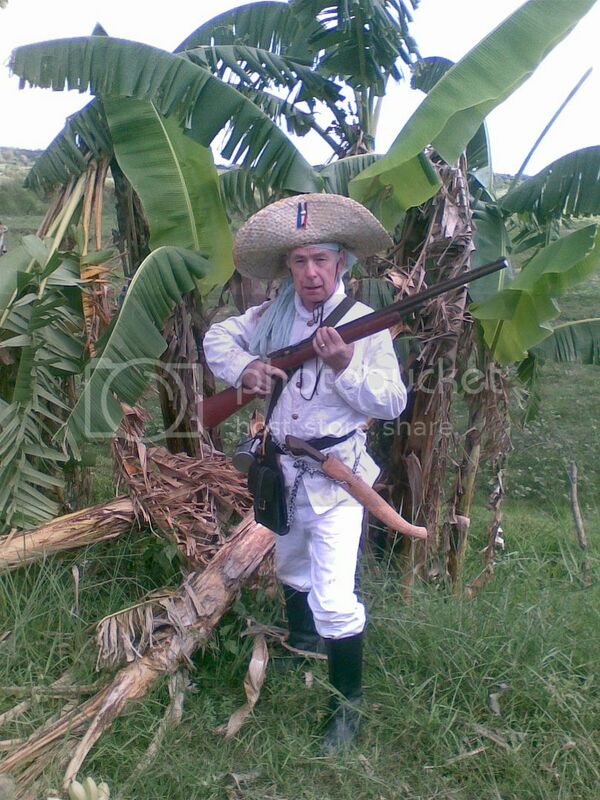 Show this picture to Bill Comb of Agmohio " Los Rayadillos ".